A darkly comic and ambitious sequel to the American classic Catch-22. In Closing Time, Joseph Heller returns to the characters of Catch-22, now coming to the end of their lives and the century, as is the entire generation that fought in World War II: Yossarian and Milo Minderbinder, the chaplain, and such newcomers as little Sammy Singer and giant Lew, all linked, in an uneasy peace and old age, fighting not the Germans this time, but The End. Closing Time deftly satirizes the realities and the myths of America in the half century since WWII: the absurdity of our politics, the decline of our society and our great cities, the greed and hypocrisy of our business and culture -- with the same ferocious humor as Catch-22. Closing Time is outrageously funny and totally serious, and as brilliant and successful as Catch-22 itself, a fun-house mirror that captures, at once grotesquely and accurately, the truth about ourselves. When people our age speak of the war it is not of Vietnam but of the one that broke out more than half a century ago and swept in almost all the world. It was raging more than two years before we even got into it. More than twenty million Russians, they say, had perished by the time we invaded at Normandy. The tide had already been turned at Stalingrad before we set foot on the Continent, and the Battle of Britain had already been won. Yet a million Americans were casualties of battle before it was over -- three hundred thousand of us were killed in combat. Some twenty-three hundred alone died at Pearl Harbor on that single day of infamy almost half a century back -- more than twenty-five hundred others were wounded -- a greater number of military casualties on just that single day than the total in all but the longest, bloodiest engagements in the Pacific, more than on D day in France. No wonder we finally went in. Thank God for the atom bomb, I rejoiced with the rest of the civilized Western world, almost half a century ago, when I read the banner newspaper headlines and learned it had exploded. By then I was already back and out, unharmed and, as an ex-GI, much better off than before. I could go to college. I did go and even taught college for two years in Pennsylvania, then returned to New York and in a while found work as an advertising copywriter in the promotion department of Time magazine. In only twenty years from now, certainly not longer, newspapers across the country will be printing photographs of their oldest local living veterans of that war who are taking part in the sparse parades on the patriotic holidays. The parades are sparse already. I never marched. I don't think my father did either. Way, way back, when I was still a kid, crazy Henry Markowitz, an old janitor of my father's generation in the apartment house across the street, would, on Armistice Day and Memorial Day, dig out and don his antique World War I army uniform, even down to the ragged leggings of the earlier Great War, and all that day strut on the sidewalk back and forth from the Norton's Point trolley tracks on Railroad Avenue to the candy store and soda fountain at the corner of Surf Avenue, which was nearer the ocean. Showing off, old Henry Markowitz -- like my father back then, old Henry Markowitz probably was not much past forty -- would bark commands out till hoarse to the tired women trudging home on thick legs to their small apartments carrying brown bags from the grocery or butcher, who paid him no mind. His two embarrassed daughters ignored him too, little girls, the younger my own age, the other a year or so older. He was shell-shocked, some said, but I do not think that was true. I do not think we even knew what shell-shocked meant. There were no elevators then in our brick apartment houses, which were three and four stories high, and for the aging and the elderly, climbing steps, going home, could be hell. In the cellars you'd find coal, delivered by truck and spilled noisily by gravity down a metal chute; you'd find a furnace and boiler, and also a janitor, who might live in the building or not and whom, in intimidation more than honor, we always spoke of respectfully by his surname with the title "Mister," because he kept watch for the landlord, of whom almost all of us then, as some of us now, were always at least a little bit in fear. Just one easy mile away was the celebrated Coney Island amusement area with its gaudy lightbulbs in the hundreds of thousands and the games and rides and food stands. Luna Park was a big and famous attraction then, and so was the Steeplechase ("Steeplechase -- the Funny Place") Park of a Mr. George C. Tilyou, who had passed away long before and of whom no one knew much. Bold on every front of Steeplechase was the unforgettable trademark, a striking, garish picture in cartoon form of the grotesque, pink, flat, grinning face of a subtly idiotic man, practically on fire with a satanic hilarity and showing, incredibly, in one artless plane, a mouth sometimes almost a city block wide and an impossible and startling number of immense teeth. The attendants wore red jackets and green jockey caps and many smelled of whiskey. Tilyon had lived on Sorf Avenue in his own private house, a substantial wooden structure with a walkway to the stoop from a short flight of stone steps that descended right to the margin of the sidewalk and appeared to be sinking. By the time I was old enough to walk past on my way to the public library, subway station, or Saturday movie matinee, his family name, which had been set in concrete on the vertical face of the lowest step, was already sloping out of kilter and submerged more than halfway into the ground. In my own neighborhood, the installation of oil burners, with the excavations into the pavement for pipes and fuel tanks, was unfailingly a neighborhood event, a sign of progress. In those twenty more years we will all look pretty bad in the newspaper pictures and television clips, kind of strange, like people in a different world, ancient and doddering, balding, seeming perhaps a little bit idiotic, shrunken, with toothless smiles in collapsed, wrinkled cheeks. People I know are already dying and others I've known are already dead. We don't look that beautiful now. We wear glasses and are growing hard of hearing, we sometimes talk too much, repeat ourselves, things grow on us, even the most minor bruises take longer to heal and leave telltale traces. And soon after that there will be no more of us left. Only records and mementos for others, and the images they chance to evoke. Someday one of the children -- I adopted them legally, with their consent, of course -- or one of my grown grand-children may happen upon my gunner's wings or Air Medal, my shoulder patch of sergeant's stripes, or that boyish snapshot of me -- little Sammy Singer, the best speller of his age in Coney Island and always near the top of his grade in arithmetic, elementary algebra, and plane geometry -- in my fleecy winter flight jacket and my parachute harness, taken overseas close to fifty years back on the island of Pianosa off the western shore of Italy. We are sitting with smiles for the camera near a plane in early daylight on a low stack of unfused thousand-pound bombs, waiting for the signal to start up for another mission, with our bombardier for that day, a captain, I remember, looking on at us from the background. He was a rambunctious and impulsive Armenian, often a little bit frightening, unable to learn how to navigate in the accelerated course thrown at him unexpectedly in operational training at the air base in Columbia, South Carolina, where a group of us had been brought together as a temporary crew to train for combat and fly a plane overseas into a theater of war. The pilot was a sober Texan named Appleby, who was very methodical and very good, God bless him, and the two were very quickly not getting along. My feelings lay with Yossarian, who was humorous and quick, a bit wild but, like me, a big-city boy, who would rather die than be killed, he said only half jokingly one time near the end, and had made up his mind to live forever, or at least die trying. I could identify with that. From him I learned to say no. When they offered me another stripe as a promotion and another cluster to my Air Medal to fly ten more missions, I turned them down and they sent me home. I kept all the way out of his disagreements with Appleby, because I was timid, short, an enlisted man, and a Jew. It was my nature then always to make sure of my ground with new people before expressing myself, although in principle at least, if not always with the confidence I longed for, I thought myself the equal of all the others, the officers too, even of that big, outspoken Armenian bombardier who kept joking crazily that he was really an Assyrian and already practically extinct. I was better read than all of them, I saw, and the best speller too, and smart enough, certainly, never to stress those points. "I see the bank of a river down there. Turn left and cross it and I'll pick up a landmark on the other side." The bank of that river turned out to be the shore of the Atlantic once more and took over after another half hour, and when he finally pieced together the radio signals to bring us back to our field, there was only enough fuel left to carry us from the landing strip to our plane stand. The engines died before they could be cut. We had all nearly been killed. That did not sink in until early middle age, and after that when I related the anecdote, it was not just for the laughs. In that photograph with me is a buddy, Bill Knight, the top turret gunner that day, who was about two years older than I and already married, with a baby child he had seen but a week, and a skinny kid my own age named Howard Snowden, a waist gunner and radioman from somewhere in Alabama, who would be killed on a mission to Avignon about one month later and died slowly, moaning in pain and whimpering he was cold. We are twenty years old and look like children who are only twenty years old. Howie Snowden was the first dead human I had ever seen and the only dead human I've laid eyes on since outside a mortuary. My wife died at night and was already gone from the room by the time I arrived at the hospital to conclude the paperwork and begin the arrangements for the burial. She went the way the oncologist said she would, almsot to the day. There was skickness but seldom much pain, and we like to think she was spared that pain because she was always a very good person, at least to me, and to the children, generally cheerful and bighearted. If angry, it was only with her first husband, and only at times, particularly because he often had not enough money for child support but enough for new girlfriends and enough to marry again a couple more times. I was lucky with dead men, said Lew right after the war, a friend since childhood who was taken prisoner as an infantryman and had seen hundreds of dead people in Europe before he was shipped back home, seen Americans and Germans, and scores of German civilians in Dresden when he was send back in to help clean up after the British firebombing I learned abont first from him, an air raid that had killed just about everyone else in the city but these prisoners of war and their guards and which I did not know about and would not immediately believe. "Above a hundred thousand? You must be crazy, Lew. That's more than Hiroshima and the atom bomb." I looked it up and admitted he was right. But that was almost fifty years ago. No wonder our progeny are not much interested in World War II. Hardly any were born then. They'd be around fifty if they were. But maybe someday, in a future I can't try to measure, one of the children or grandchildren will happen upon that box or a drawer with my gunner's wings, Air Medal, sergeant's stripes, and wartime photograph inside and perhaps be stimulated to reflect with poignancy on some incidents of a family nature that once took place between us, or which never did and should have. Like me with my father's gas mask from World War I.
I wonder what became of it. I loved that gas mask as a toy when small and I would play with it secretly when he was at work in the city cutting shapes from fabric from patterns for children's dresses. I have his photograph as a soldier too. After I read, while still in elementary school, a biography of the German World War I aerial ace Baron Manfred von Richthofen, I wished for a while to grow up to be a fighter pilot and to duel with him daily in single combat over trenches in France and shoot him down again every time. He was my hero, and I dreamed of shooting him down. Soon after the war, my war, my father died and they called it cancer. He enjoyed cigars. He bought them in the small neighborhood shop around the corner on Surf Avenue, where a contented Mr. Levinson sat with his smile at a worktable with knives and tobacco leaves and marked out and rolled his cigars by hand, while Mrs. Levinson, a tranquil kind of pygmy of a woman with dark hair and freckles, sold bathing caps, earplugs, swimming tubes, and pails and shovels and other small trifles for the sand on the beach just one block away. They were childless. Everyone worked. As a kid I hawked newspapers for a while through the streets and boardwalk bars. In summer our sisters sold frozen custard at the stands on the boardwalk, root beer. Davey Goldsmith sold hot dogs. On the beach unlicensed noddlers battled like Spartans with dry-ice vapors misting from cumbersome cartons toted in our browned arms to dispense for a nicked all of their frozen bars and Dixie cups before they could be nabbed by policemen pursuing them on soft sand through onlookers in bathing suits rooting with all their hearts for them to make good their flight. Many of these fleet-footed older young boys working so perilously were people I knew. From our apartment we could always hear from the ocean the breaking of waves and the gong from the bell baby (we called it the "bellboy" and the still sounds rights to the unusual quiet in the early or late afternoon, we could even hear very slightly the indistinct, ghostlike music of our closest merry-go-round, the exotic calliope of the tremendous carousel on the boardwalk with its turning ring of steeds of gold the color of caramels and painted strokes of shiny black and showy tints of blue and pink of other candies, like jelly beans, licorice, and gumdrops -- where did those magnificent gliding horses come from? was there a corporation somewhere that manufactured just horses for carousels? was there big money in that? -- almost half a mile away. No one was rich. Copyright &copy; 1994 by Skimton, Inc.
Robert Pinsky, The Washington Post Manic, knockdown verbal comedy. Christopher Buckley, The New Yorker A summing up by one of the last of the great writers of the Second World War generation;...we can celebrate Catch-22's anniversary by welcoming Yossarian, Sammy, Milo, Lew, Wintergreen, and Chaplain Tappman even as we take leave of them. The New York Times Contains a richness of tone and of human feeling...Powerful and disturbing. 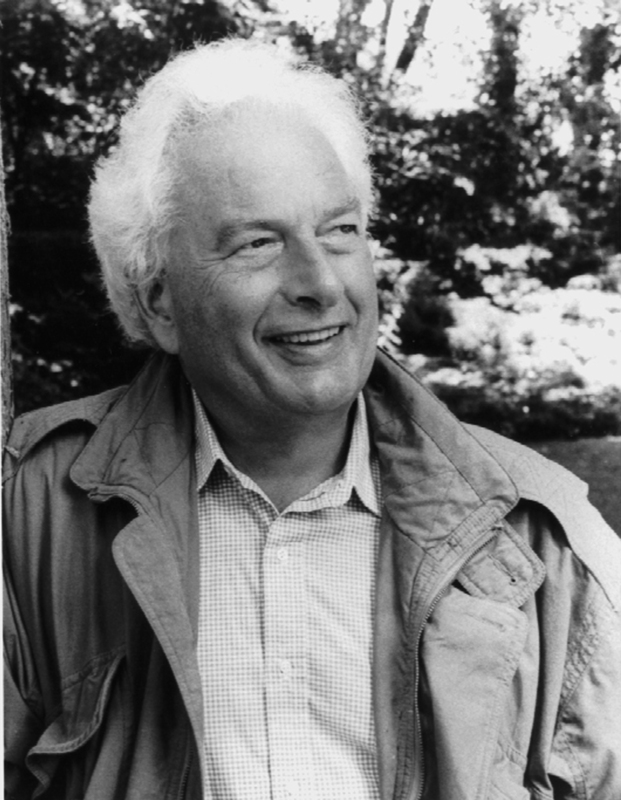 The Philadelphia Inquirer Score one for Joseph Heller...Closing Time is Heller's best novel since Good as Gold. Robert Pinsky The Washington Post A lively, brilliant and influential writer's look back at the 20th-century American culture he has seen. 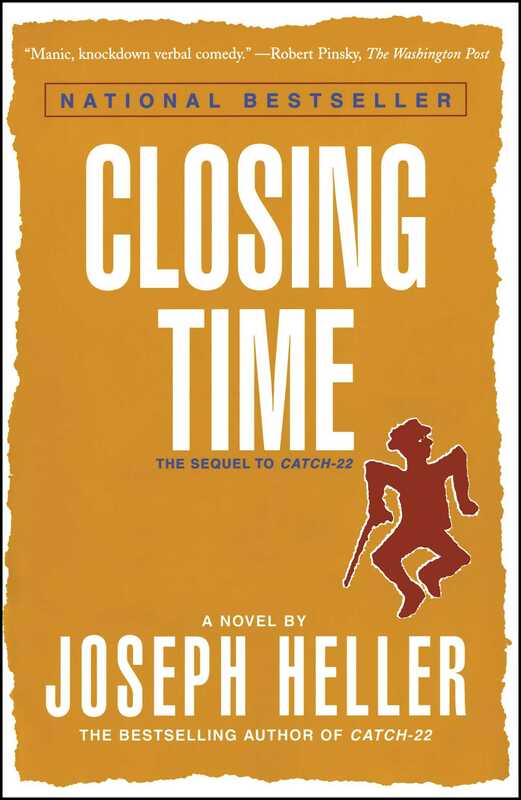 Carlin Romano The Philadelphia Inquirer Score one for Joseph Heller...Closing Time is Heller's best novel since Good as Gold. Christopher Buckley The New Yorker A summing up by one of the last of the great writers of the Second World War generation...we can celebrate Catch-22's anniversary by welcoming Yossarian, Sammy, Milo, Lew, Wintergreen, and Chaplain Tappman even as we take leave of them.